2 Dorantes Ave San Francisco, CA. | MLS# 469241 | Andrew de Vries, Probate Real Estate, San Francisco Probate Real Estate, Oakland Probate Real Estate, Berkeley Probate Real Estate, Alameda Probate Real Estate, Lafayette, Contra Costa Probate Real Estate, Probate realtor, Probate agent, Probate Broker. 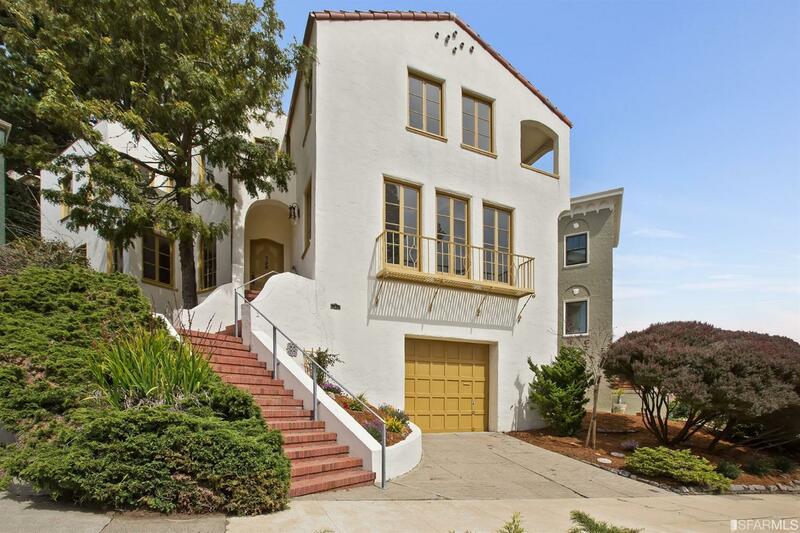 Just Sold - 2 Dorantes, San Francisco - Listed for $1,998,000, Just Sold for $2,743,000 in 3 Weeks with Multiple Offers! - This stunning South-facing 5BD/3BA Spanish Mediterranean View Home, nestled on one of Forest Hill's most coveted streets, was available for only the 2nd time since built. The home boasted an impressive layout, combining Old World Charm with a highly-functional floor-plan perfect for today's modern lifestyles. The main level featured a grand foyer w/Gone-with-the-Wind staircase, a magnificent FLR w/10 ft+ ceilings, picture windows & period fireplace, a banquet-sized FDR, large kitchen w/break-fast room, a guest/Au Pair BD & full BA. Up was a spacious Master Suite w/views to the Pacific, PLUS 3 ample BDs & a 2nd BA. At street level was a large 2-car garage and lovely terraced yards ready for gardening & play. Steps to West Portal, Muni & beyond! I provided 5+ months of restoration oversight (roof install, tank removal, interior restoration, floor refinishing, landscaping design, etc.) and all marketing and negotiations for family of three co-trustees selling their parents home, which had sat vacant for many years..